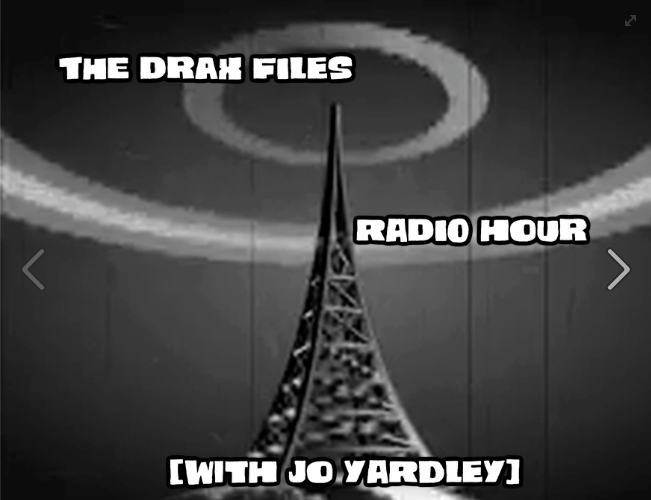 Episode #28 of The Drax Files Radio Hour was posted on Friday July 18th. After a measure of disappointment on my part that the promised interview with Jacquelyn Ford Morie didn’t appear – for fully understandable reasons – this segment makes up for it with a chat with long-term Second Life business man Lislo Mensing, or as he’s known in the physical world, Stefan Weiss. 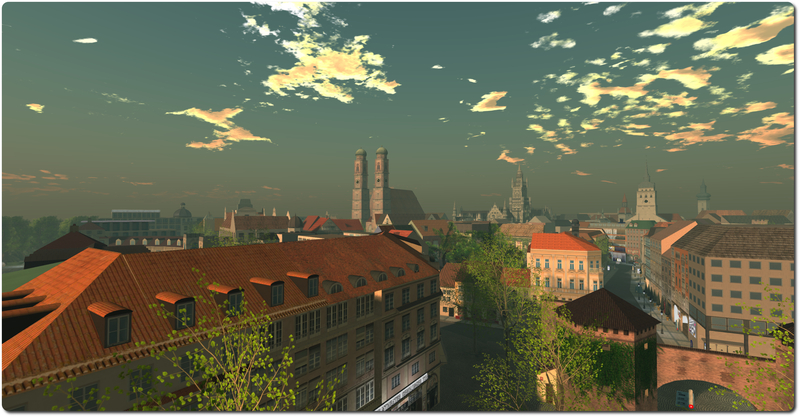 Stefan is the driving force behind a recreation of the heart of Munich in Second Life. He’s also the owner of Teledollar, a Linden Dollar Authorised Reseller, and he has some interesting first-hand experiences of trying to marry-up the virtual and physical worlds. This is perhaps the most informal interview Drax has conducted to date in the radio show, taking place as it does over lunch in the physical Munich, where he met Stefan while enjoying his summer vacation in Germany. As such, this is both the first in a trio of such informal “lunch with a lifer” interviews and is also something of an introduction to Bavarian cuisine! Virtual Munich, which dates from 2007, is a recreation of the centre of Munich. It features many of the landmarks from its physical namesake, including several of the city’s churches and the old city gates. All of these, while prim builds, have been constructed using around 6,000 photos taken of the actual city of Munich, allowing as much as possible of the original’s essence to be recaptured within the virtual constraints of two regions in SL. Streets and plazas are faithfully recreated, and even a portion of the underground (subway) transit system has been reproduced (tickets L$69), which connects the heart of the city to the surrounding rural regions. In developing the build, Stefan saw the potential for a symbiotic way of promoting the virtual in the physical and vice-versa. Approaching the Munich civic authorities, he put forward the idea that virtual Munich could be used as a means of promoting the physical Munich, offering people who might be considering a visit to the city the means to immersively learn about it and explore it prior to actually visiting. There was initially a positive response to the idea, and even talk of including the virtual version of Munich in documentation about the city’s 850th anniversary. Unfortunately, all this came to nought when, in late 2007, German media outlets (and others around the world) followed the UK’s Sky News in running exposés on sexual ageplay rings within Second Life. Understandably, support for the project from both Munich’s civic authorities and from businesses rapidly declined in the wake of the reports; so much so that Stefan was refused permission to take photos of the non-public areas of some of the historic buildings which he had hoped to be able to share with people by recreating them in-world. While there has always been much speculation as to the impact these and other such exposés had on the wider view the public and businesses had on Second Life, Stefan’s frank description of the situation he personally faced really adds perspective to one of the factors that undoubtedly led to SL fall from grace in the media’s eyes, and which may have had a far greater impact on the media’s perception of the platform than its inability to live up to the hype created around it. Beyond this, the conversation touches on the relevance of virtual worlds, with Stefan pointing out that really, not much has changed over the years where the broader attitude towards VWs is concerned. This, he points out, is largely due to what I’m going to henceforth call the Pamela Effect henceforth (particularly after the re-run of Drax’s interview with her in segment #27 of the Drax Files Radio Hour): most of those in the “mainstream” market simply don’t see VWs as being in any way relevant to their physical and digital lives and activities, and so don’t see why they should bother giving VWs a go. Not only is this attitude perhaps common among the vast majority of Internet users, but it obviously also encompasses businesses as well, who have far more accessible means at their disposal for marketing the products and services and of reaching an audience. It is relevance – far more than issues of getting the keyboard and mouse “out of the way” – which is likely going to be the major issue for anyone trying to drive a virtual world even further into the mainstream consciousness – at least for a the foreseeable future. I’ve mentioned three reasons why I think this is the case in a previous article (although these are the only reasons for my feeling this way). Stefan points to a couple more; things which are regularly discussed, at least among those of us already engaged in VWs: scalability (in terms of having an environment which can actually support compelling, mass audience / mass participation activities), and accessibility. In this latter respect, Tony Parisi is more than likely correct in his view that unless a virtual world embraces the ease of access presented by the web, it’s going to have trouble making its presence felt. Relevance is also something that came to mind when the Oculus Rift received its obligatory mention in the interview. While much has been made of the potential of VR bringing about a renaissance in interest in virtual worlds, very little has really been said about the potential for VR to do exactly the reverse, and leave virtual worlds still locked into a narrow niche within the mainstream market. Simply put, if VR brings about the kind of situation which is discussed in the show, allowing hundreds and thousands of people world-wide to sit down and witness a World Cup final as if they were there, or a Wimbledon championship or take a ride into space or stand on the surface of Mars or explore the wreck of the Titanic or do a hundred other things that might not be otherwise possible for them, and share the experience with others – then why should they even bother with farting around with a virtual world? Towards the end of the piece, things get a little confusing as other virtual environments, such as Twinity and Google Lively are touched upon amidst some lunchtime chuckles. There’s also a brief overview of the Teledollar operation before times catches up with Stefan and Drax, and things are cut short by the needs of the physical world and work. This is very much a curate’s egg of a conversation; there is a lot discussed and mentioned which offers food for thought. The over-the-lunch-table nature of the conversation lends a curious tilt to things, helping to add flavour to the proceedings, and giving it an oddly intimate feel for the listener, as if we’re sitting on a table close by and overhearing their discussion as they eat; and what interesting listening it makes! On Tuesday July 22nd, the Main channel was updated with the infrastructure project deployed to the Magnum RC in week 29, and which adds support for the upcoming changes to the Skill Gaming policy, and includes the update to improve L$ transaction logging for payments made by scripted objects previously on LeTigre and BlueSteel- release notes. On Thursday July 24th, all three RC channel should be updated with the infrastructure support for the upcoming changes to the Skill Gaming policy, and includes the L$ transaction logging update and Temp attachment fix previously deployed to LeTigre and BlueSteel. The Oculus Rift project viewer also updated to version 3.7.12.292141, to bring it up to parity with the release viewer 3.7.12 code base. Note at the time of writing, there were no supporting release notes for this update – please refer to the Alternate Viewers wiki page for the downloads.